Declare your funk and swag in this casual shirt from Allen Solly. This spread collared shirt is splendid wear for work on a chilly day. 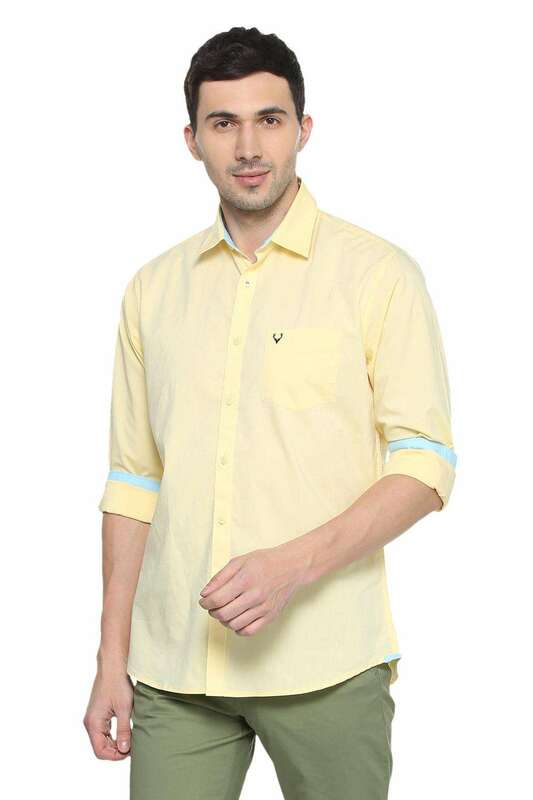 Team this yellow casual shirt with a pair of black jeans to look your best. The cotton blend material and the superior excellent of this shirt will be easy to wash. Look posh and classy with this casual shirt. Choose to look admirable and feel excellent with this solid shirt. Team this shirt with corduroy trousers and a pair of oxford shoes.